Babies are fascinating little humans. After carrying one in your womb for nine months, you deliver a fully-formed human being, but did you know that if your baby continued to grow at the same rate that they do during the first year of their life, they’d be more than 25 feet tall by the time they finished growing? Crazy! If you thought that fact was fascinating, here are 10 more fun facts you should know about babies before you think about having one. How About the Bees…er, Babies’ Knees? As cute as those little knees are after your baby is born, there are actually no bony kneecaps there! In every human being, bones start out as cartilage that slowly becomes bone through a process called ossification. While some bones are already fully formed at birth, many of them — like the patella or kneecap — are still cartilage. So, those kneecaps are present. 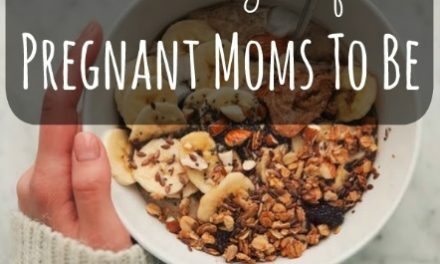 They just aren’t bony kneecaps — which is probably a good thing considering the number of spills your baby will probably take once they become mobile. 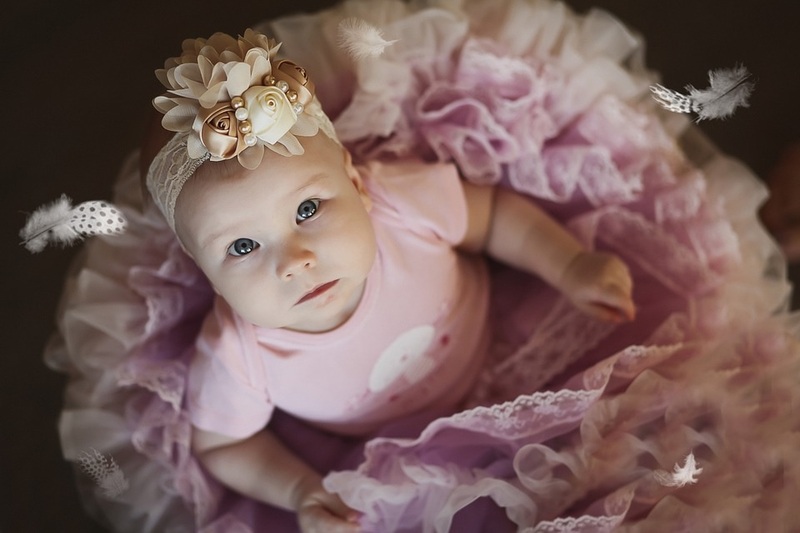 Babies start out with quite a few more bones than they’ll have as adults. The body of an infant has more than 300 bones at birth. As they grow, most of those extra bones will fuse to become one big bony structure, leaving adults with around 206 bones once they’ve reached adulthood. Take a look at your spine, for example — the average healthy adult spine has 24 vertebrae. At birth, though, the spine of an infant contains 33 vertebrae, many of which will later fuse together to become the spine we know and love. As of 2013, polls have found that Tuesday is the busiest day for baby delivery — followed closely by Thursday. You don’t need to worry about skipping church on Sunday — that is the least popular day for babies to be born. In fact, Sunday has an average of 33 fewer births than any other day of the week! Everyone knows babies grow fast, but your baby’s brain grows even faster than the rest of them. Studies have found that an infant’s brain grows approximately 1% every single day, starting from birth, and it’s nearly half the size of an adult brain by only three months. For a baby, every adult that isn’t mom is the same adult. It isn’t until around six months of age that infants can start to differentiate between objects and recognize each object is unique. 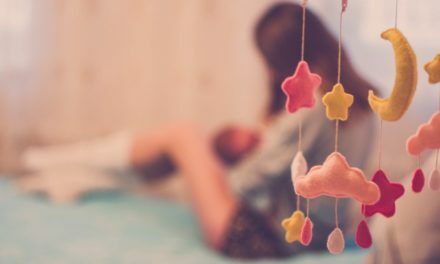 This isn’t really a problem though — for infants that age, the most important person is mom, and they can learn to identify their mother’s scent and voice from the moment that they’re born. Peek-a-boo can be a great way to keep your little ones entertained, but why does it work so well? It all relies on the concept of object permanence — knowing that the object that you’re thinking about still exists even if you can’t see it. For infants, if something is removed from their field of view, they think it no longer exists. Object permanence doesn’t establish itself in an infant’s mind until about eight months of age. So by covering your face to play peek-a-boo, you don’t exist anymore in the eyes of an infant, and it’s a great surprise and delight to them when you suddenly reappear! For healthy adults, the normal resting heart rate is between 70 and 80 beats per minute. In the womb, infant heart rates tend to run around 150-170 beats per minute, but the human heart isn’t meant to sustain those kinds of speeds after birth. On average, though, your infant’s heart rate will remain over 100 beats per minute for a few months after birth, and it won’t slow down to a regular resting heart rate until the first few years of life. While they might be on a strict diet of milk or formula, babies have way more taste buds in their mouth than adults! The average adult has around 10,000 taste buds on their tongue. Infants, on the other hand, can have as many as 30,000 taste buds throughout the inside of their mouths. While these taste buds will eventually fade after the first three years or so, it enables babies to taste flavors in a way that no adult ever will. One of the biggest parts of parenthood is the fear of screwing up. Don’t worry — babies won’t remember the mistakes you make, even if you do. The correct term for it is childhood amnesia, which basically means your baby won’t remember most of the first years of their lives. Scientists haven’t determined the exact reason for this, but theories range from the infant brain not being fully developed to the brain requiring language to form memories. Sure, babies howl and scream to get your attention, but they’re not technically crying. Crying includes the release of tears (and the stress hormones associated with them), and a baby’s tear ducts aren’t fully developed until they are about a month old. It doesn’t prevent a baby’s eyes from staying moist, but they won’t shed a tear for at least a few weeks. Having a baby is definitely a life-changing experience, but the babies themselves are fascinating little creatures. Human beings are the only species that keep their young with them for such a long period of time — at least 18 years, and potentially longer! Most large mammals form family groups, but their babies are weaned and able to live on their own within a couple of years. Nevertheless, we still continue to find new and amazing facts about our own infants and the unique and fascinating ways they look at the world.